Space at UC San Francisco is governed at multiple levels: at the campus level by the Chancellor through the UCSF Space Committee, by each School's Dean, and within departments and units. 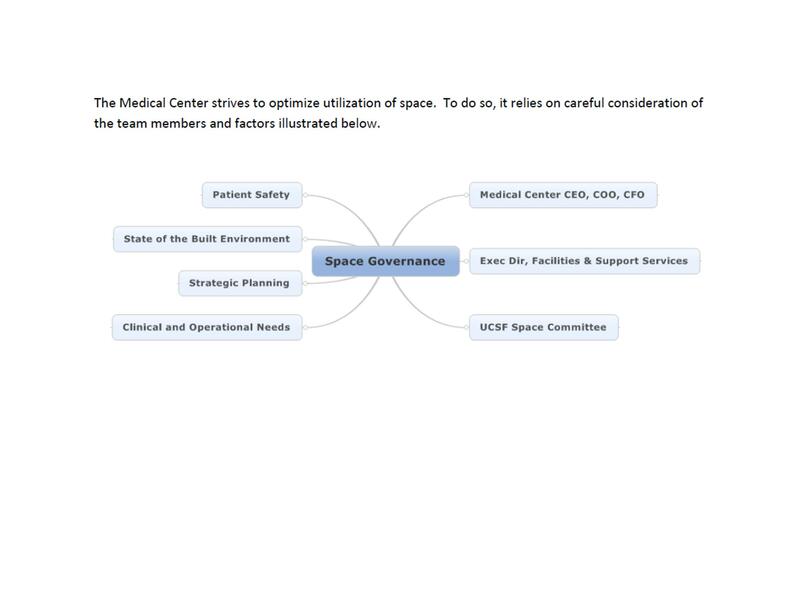 At all levels of governance, policies must be consistent with principles identified by the UCSF Space Committee. Information about the UCSF Space Committees, the School of Medicine Space Committee, and the School of Pharmacy Space Committee is provided on this site. The Schools of Dentistry and Nursing have a less structured system whereby space is managed collaboratively by the Dean's Office of each school and their Department Chairs.